"Thinking of you and your family in this time. We were fortunate to have him in our golf group and our lives." Funeral Mass for Barry L. Speirs, 80, of Concord Township, formerly of Richmond Heights, will be 11 a.m. Tuesday at Immaculate Conception Church, 37940 Euclid Ave., Willoughby. Barry passed away Friday, Oct. 12, 2018, at the Cleveland Clinic. Born April 15, 1938, in Birmingham, England, he came to the United States in 1959 at the age of 21 and pursued a career as a mechanical and design engineer after studying at Birmingham College, England. Barry became an American citizen in December 1992 and worked as an engineer for more than 50 years. He retired from Picker International after 20 years, where he led designs for the first MASH x-ray unit, the Lunar Rover Power Pack, along with various military and medical research and development projects. After retirement, he worked as a starter at Manakiki Golf Course for many years and pursued his passions for reading, painting, calligraphy, and entrepreneurship. Barry was affiliated with the British and American Chamber of Commerce, Link Club of the British National Executives, Cleveland Engineering Society, American Society of Non-Destructive Testing, and Industrial Chemical Engineers. He was the beloved husband of 51 years to Phyllis A. (nee Farinacci) Speirs; loving father of William B. 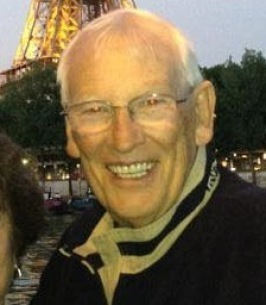 (Megan) Speirs; cherished grandfather of Cameron Saar; brother-in-law of Dena Cooper; and uncle of nieces and nephews. Barry was preceded in death by his parents, William C. and Eveline (nee Bruce) Speirs; and brother, Brian Speirs. Family will receive friends from 9:30 to 11 a.m. Tuesday at the church prior to the Mass. Burial will be in All Souls Cemetery in Chardon Township. Contributions in his name may be made in his honor to the Taussig Cancer Center, c/o The Cleveland Clinic Foundation, P.O. Box 931517, Cleveland, OH 44193-1655. To send flowers to the family of Barry L Speirs, please visit our Heartfelt Sympathies Store. My condolences to the Speirs family for the loss of Uncle Barry. Thinking of you and your family in this time. We were fortunate to have him in our golf group and our lives.